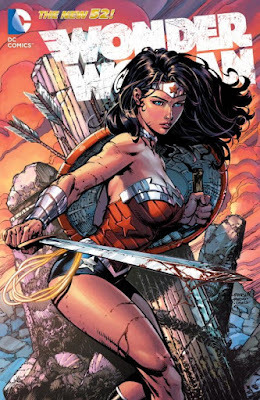 "Wonder Woman Vol. 7: War Torn"
Please welcome the new superstar creative team of writer Meredith Finch The new creative team of writer Meredith Finch and artist David Finch takes over! A mythological force seemingly tied to Wonder Woman’s role as War has attacked the Amazons, and as her own people lose faith in her, a new queen arises to take her place! Guest-starring Superman, Swamp Thing, Aquaman and more. Collects WONDER WOMAN #36-40 and ANNUAL #1. With excitement building for Gal Gadot's portrayal of Wonder Woman in the upcoming Batman v Superman: Dawn of Justice Film, now is the time to do your homework and study up this fantastic superhero! Wonder Woman struggles with both external and internal battles in this graphic novel, both of which keep the pages turning! Diana is finding it difficult to balance her role in the Justice League with her roles as Queen of the Amazons, and The God of War. Some of the Amazons think she is spending to much valuable time as a superhero and not enough time as their queen, so a new, and evil, queen is created to take her place. When she's not dealing with this supervillain, Diana struggles with how being the God of War is affecting her decisions. She doesn't want to be so aggressive but becoming The God of War has undeniably changed her. Never fear, because Wonder Woman is still driven by her desire to help those in need, always putting others first. The issues in this collection tie together seamlessly. You're never left missing part of the story. I love that the other members of the Justice League show up to help Wonder Woman on her journey. It's always great to see Superman, Aquaman, The Flash, and others. The art is beautiful, and can also be at times gruesome as well. Bottom Line: This graphic novel finds Wonder Woman moving a new direction in her life, and I think it's successful as a set up for future volumes! 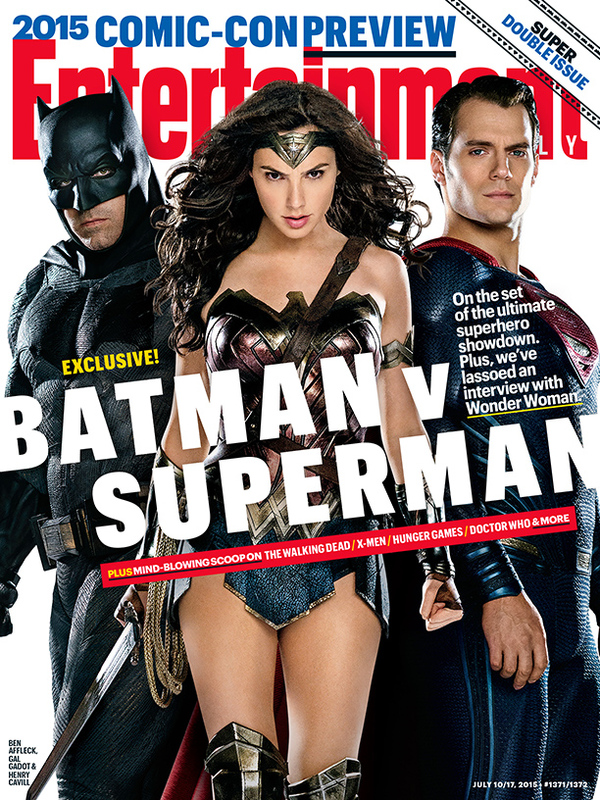 Check out Entertainment Weekly's feature on the upcoming Batman V Superman film! "Bounce" Blog Tour! Excerpt and Giveaway! Today, I'm happy to participate in the blog tour for "Bounce" by Noelle August!! Read on for an excerpt and a tour-wide giveaway!! "Good lord in a basket, it’s him all right. Grey. Illuminated by the golden lights coming on along Venice Boulevard. With suds and water sluicing off his ridiculously ripped body, cascading from his massive tattooed biceps, running down his taut muscled abdomen. His swimsuit sags dangerously low, clinging to his sturdy thighs, making, um, everything, pretty evident. Probably, this would be a good time to actually speak some words, but even in a town full of hot, hot people, this is kind of stratospheric. “Yep, it’s me.” Grey reaches back to turn off the shower, which breaks the spell, so I can at least avert my gaze like a decent person. Then he rubs a towel vigorously over his gleaming body and tucks it around his waist. He has a strange look on his face—peevish, embarrassed, and it feels suddenly like we’re intruding on something. Or maybe it’s just me. I think about that moment in my trailer. His fingers on my skin. My wanting and not knowing what to want. Grey looks from me to Mia and then back to me, weighing something. Maybe whether or not he can trust us. He’s got this hot, coiled energy all the time, like he’s always holding back. Like he’s an animal caged inside a human body. “Because of your mom?” I ask. It was obvious from their interaction on set that there’s some bad blood there, though compared to my mom, she seems kind and thoughtful, whip-smart and curious without being overbearing. Which makes sense, given her offspring. Then I remember that Grey’s not really her offspring. He said “stepmother,” and the way he said it really answers my question. “No, it doesn’t,” I say, but I’m afraid of where she’s going with this. He shakes his head. “Money’s a little tight right now. I’m giving Adam almost every penny to pay him back for the house, and I don’t really have…” Again, he goes silent, and I can feel, literally, the tension of him wanting to talk, wanting to say more to someone. Needing it. But I can’t say anything. I can’t tell my best friend, who knows I’m talking to Brooks, starting to maybe, sort of, think about where that could go, that having Grey in my apartment, so close all the time, is a very dangerous, very bad idea. My words disappear, though, because Grey’s pulled up the garage door, the muscles of his broad back and shoulders shifting smoothly as he thrusts the door up along its rusting track. But, like me, he’s lousy at hiding his feelings. Even turned away to shove some empty beer cans into a garbage bag, his body language tells me everything. He doesn’t want to be here in this musty space, crowded with furniture and audio equipment, the only natural light coming in from the tiny half-moon windows set into the garage door, which faces a dim alleyway. I think how different he is from Brooks, who says what he means, tells you—without hesitation—what he wants. He looks at me, and I can see he’s worried about the same things I am. Rooming together. Being too close, constantly one second away from making a really dumb choice. He’s young and too reckless for me. And a musician, on top of it all. He’s everything I don’t need sharing my space. But something tugs at me, makes me put all of those concerns aside. I see it in his smoke-gray eyes, which are so alive, so deep and full of thoughts. Some pain or fear lives there. Something that makes it so hard for him to accept. To take a simple kindness. It’s not just about me but about trusting. Anything. Seeing that, I can’t let him spend another night in this crappy place. Just…alone.